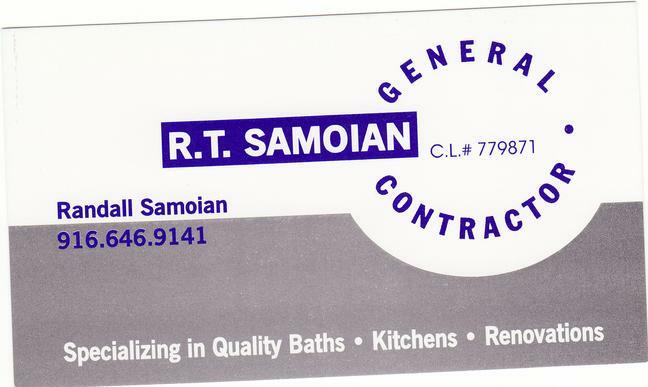 RT Samoian has been serving the greater Sacramento region for over 25 years! We offer a wide variety of construction services for most homeowners budgets, specializing in bathroom and kitchen renovations with an eye for detail. Our motto is Honesty, Service, Satisfaction! Call us for a free consultation and estimate at 916-646-9141.